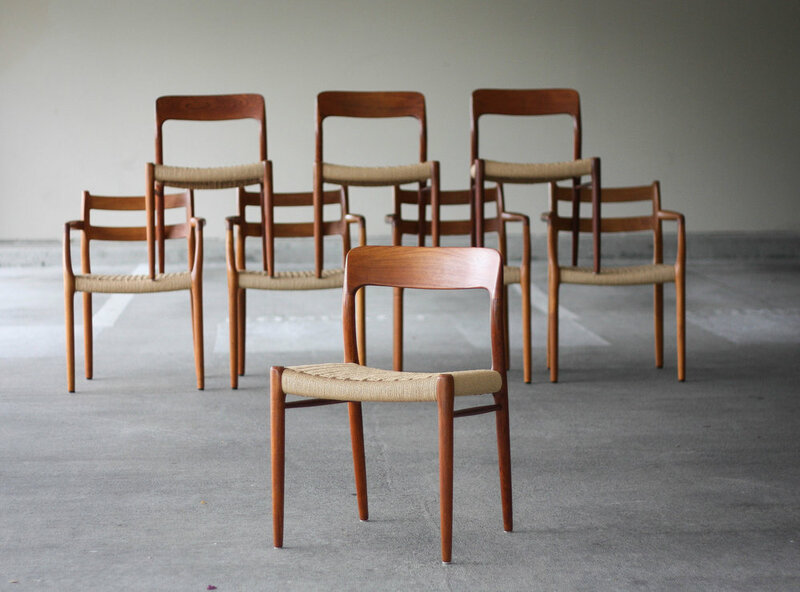 This set of eight Moller dining chairs were designed by Niels Moller for JL Moller in Denmark. The patina on these chairs is out of this world with various shades of red, orange, and brown highlighting the chairs beautiful lines. 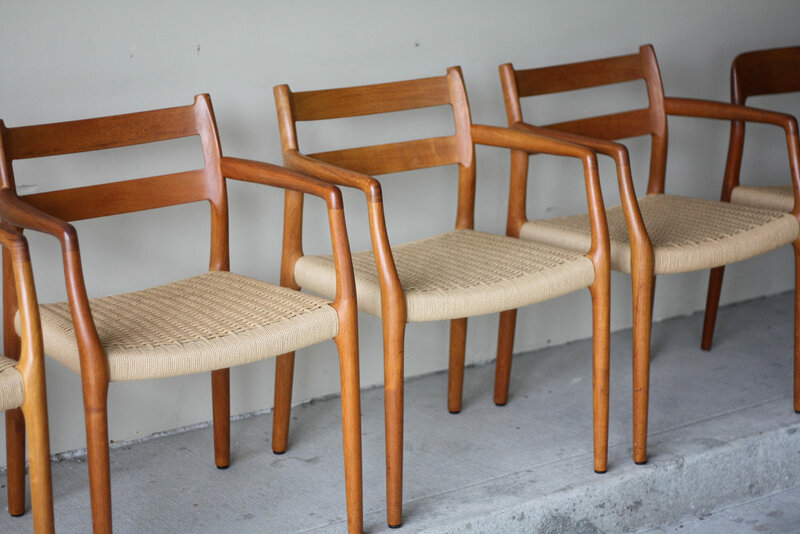 Total of four Model 75 Side chairs and four Model 67 armchairs. Be sure to note the joinery of the back pieces to the legs. The beatiful grain. The circular/spindle legs. 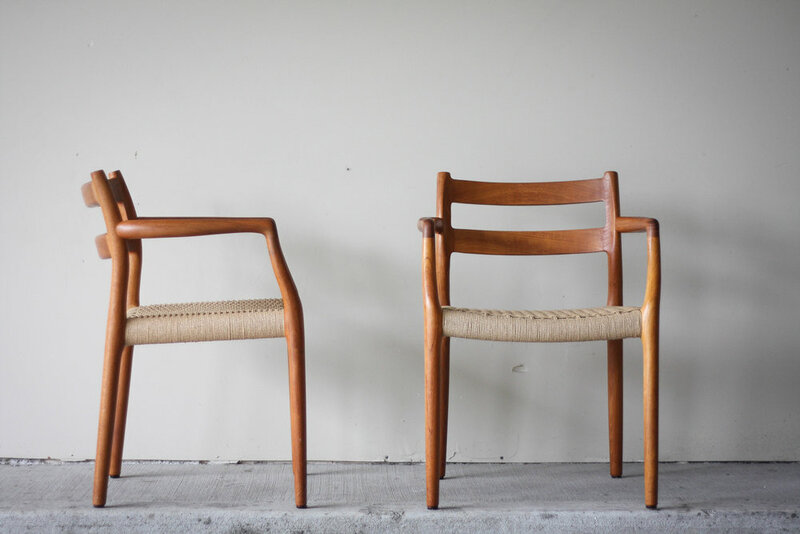 The Danish Cord seats are in excellent condition with no staining, tears, or rips to the danish cord. Typical minor wear to the frame (small knicks and scuff marks). 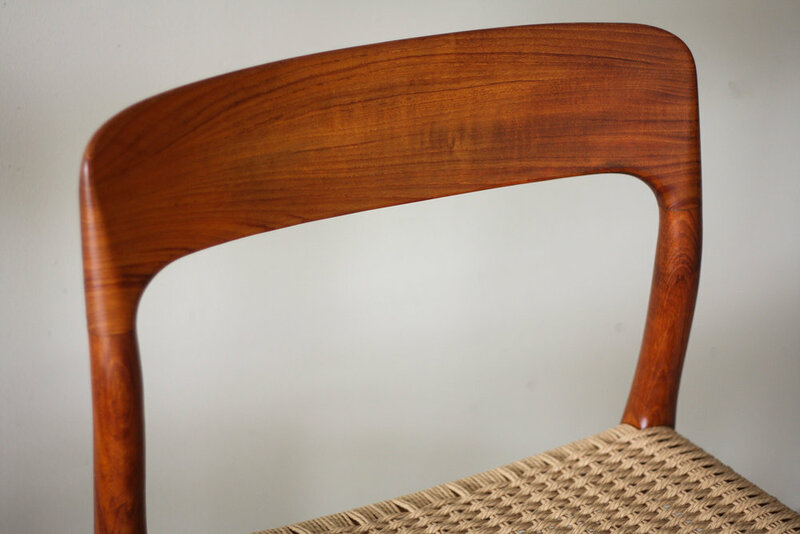 Nothing that couldn't be polished or sanded off if you felt so inclined, and nothing that drastically deters from the chairs beautiful lines. No structural issues to note.